When elderberry season is here I want to make ALL the elderberry things. 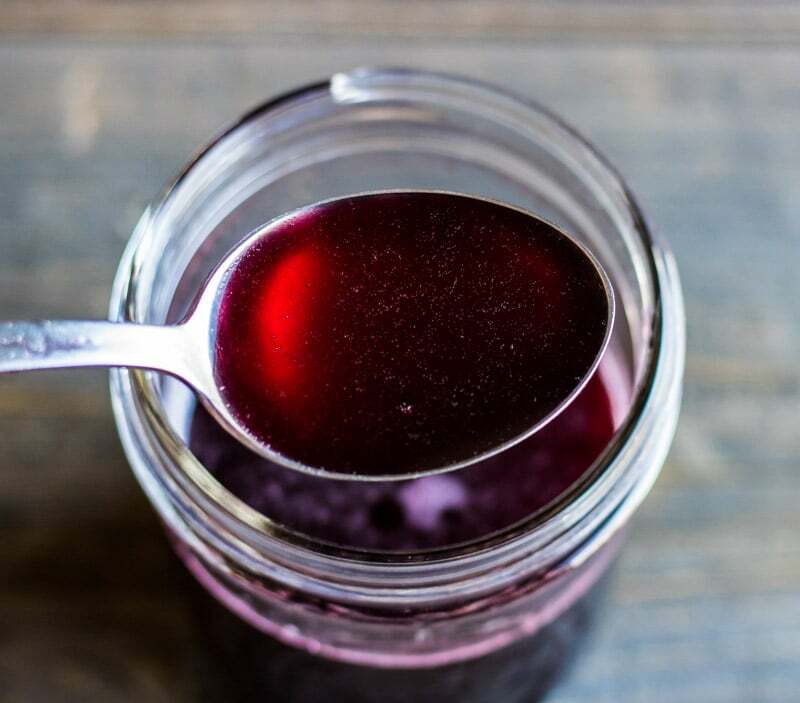 Elderberry syrup is a standard every year for keeping our immune system healthy. Some years if I have a large elderberry haul I’ll made elderberry mead or elderberry soda. But this year I wanted something a little more simple. 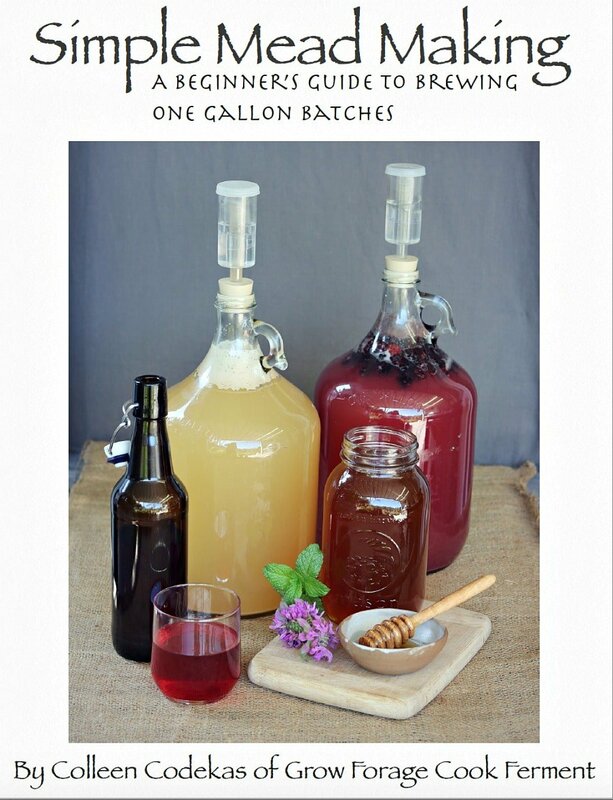 Ever since I made my fermented honey garlic and fermented honey cranberries I’ve been wanting to do more honey ferments because they are so easy and fun to do, plus have tons of medicinal benefits. 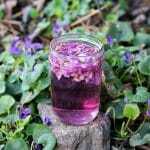 So the first thing that came to mind was to make fermented elderberry honey! 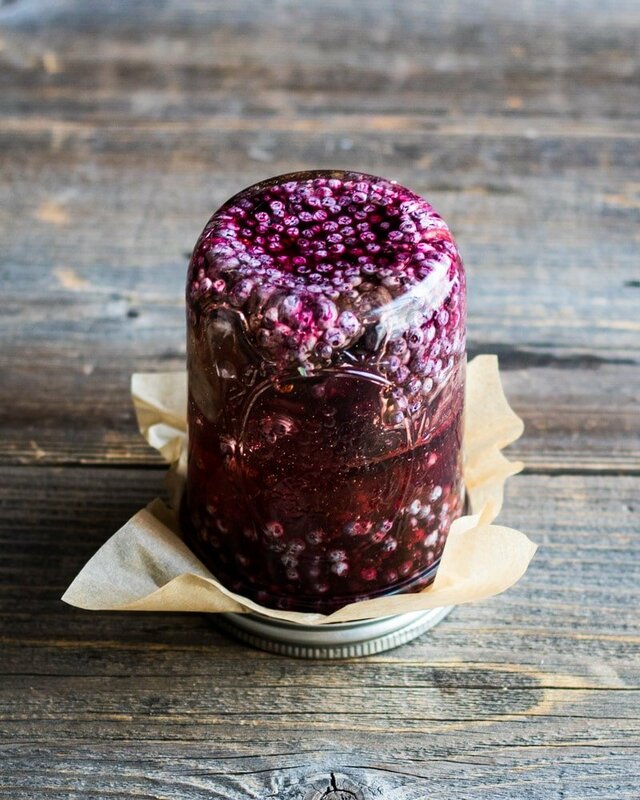 But before we get to this amazing fermented elderberry honey recipe, I have some exciting news! My book, Healing Herbal Infusions, is available right now! 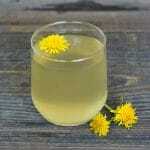 It includes all types of infusion recipes including a few honey ferments similar to this one. Woo hoo! 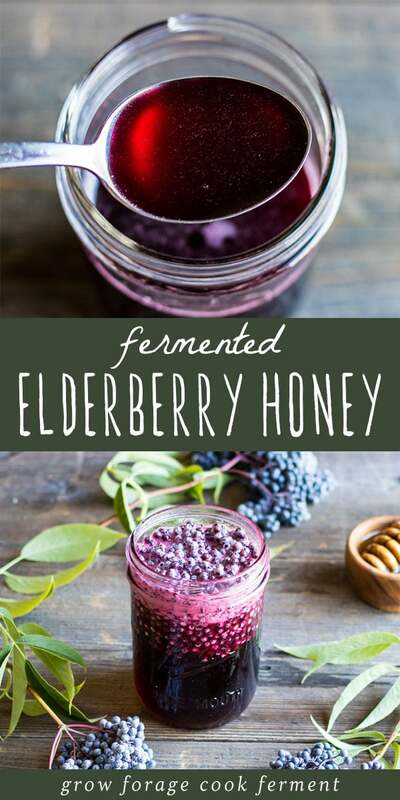 Why would you want to ferment elderberries in honey? Elderberries are antiviral and antioxidant making them a powerful stimulant for the immune system. They are best used when you know that you’ve been exposed or at the first onset of a cold or flu. Elderberry can reduce the duration of illness considerably and also helps with coughs and congestion. 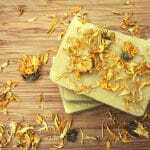 Raw honey also has medicinal benefits on its own, and when it’s fermented it gives you even more beneficial bacteria that will help to prevent sickness. Elderberries are easy to forage for and grow in many locations. 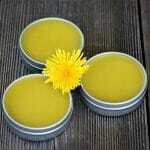 They have become very popular in recent years due to their immune boosting potential. It’s important to remember that elderberry stems, leaves, and unripe berries are toxic. Be sure to remove all of those before making this recipe. The easiest way to remove the berries from their stems is to freeze the clusters whole, then once they are frozen the berries pop right off. Red elderberries should not be used in this recipe, as they are toxic when raw. Black and blue elderberries sometimes have a tiny amount of toxicity when raw, mainly in the seeds, which can cause stomach upset in some people. 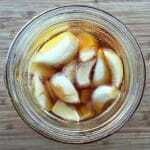 The fermentation process in this recipe removes any small amount of toxicity that may be there. Out of an abundance of caution I recommend straining out the berries before consuming the fermented elderberry honey. 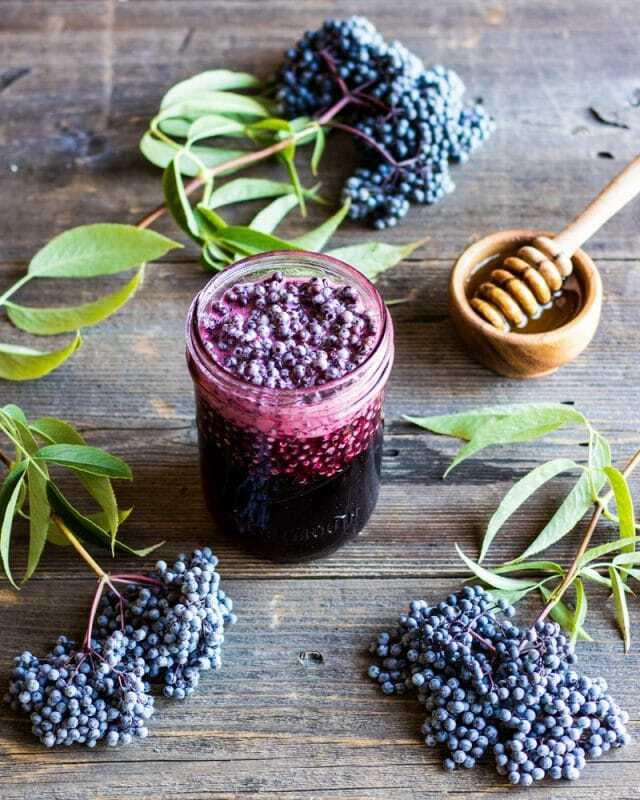 The moisture content in fresh elderberries when combined with raw honey, along with the natural yeast that is present on the surface, will create an environment that is perfect for fermentation. 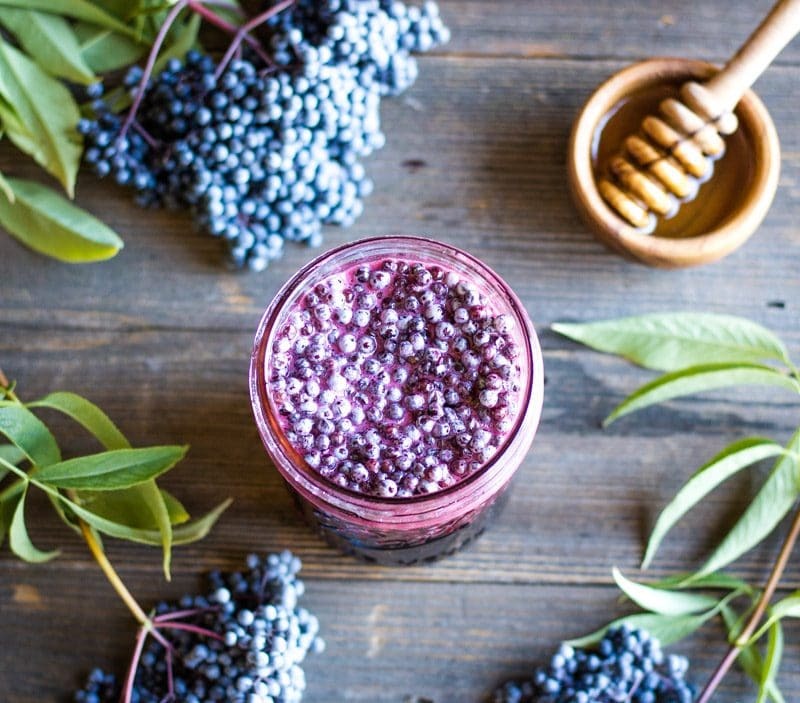 Simply combine fresh elderberries in jar with raw honey. Cap it with a lid (use parchment paper in between if you are using a metal lid) and turn it over for 30 minutes or so to coat all of the elderberries with honey. Then turn upright and loosen the lid a bit to let fermentation gases escape. Let it ferment in an out of the way spot and in 2-3 days you should start to notice some bubbles forming. It helps to tighten the lid and turn the jar for the first few days, just remember to re-loosen the lid afterward. After a few weeks you will really start to see a lot of bubbles! At this point it is ready to use. Strain out the elderberries before consuming. 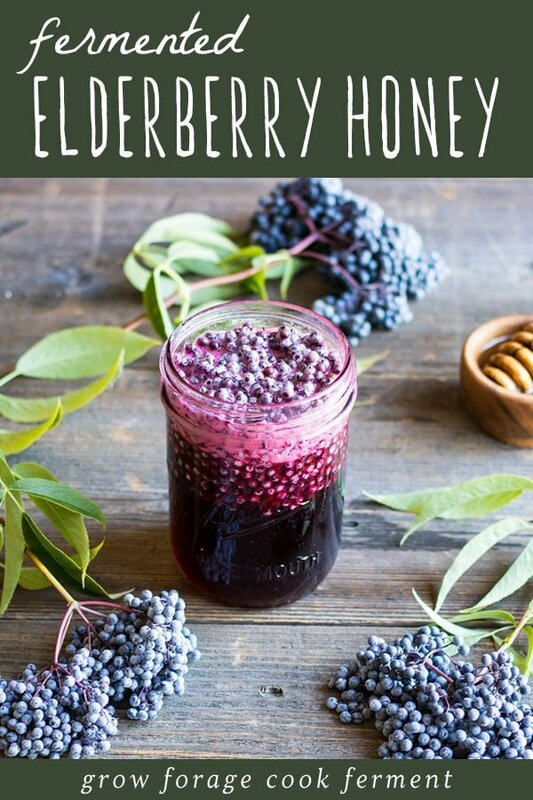 You can use dried elderberries instead of fresh if you would like, but they will need to be rehydrated in water before combining with the honey. Otherwise it’s just an elderberry infused honey, which is also beneficial and nice, but not fermented. 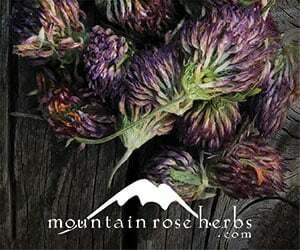 My favorite place to get organic dried elderberries is Mountain Rose Herbs. Let me just say this: this fermented elderberry honey is so delicious! It definitely does not taste like medicine, more like something that you would put on top of ice cream. Yum! This is one recipe that you will definitely have to try this season – trust me! 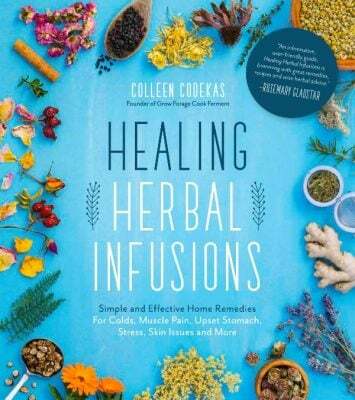 Oh, and don’t forget to take a look at my new book, Healing Herbal Infusions! 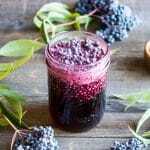 Make these fermented honey elderberries to boost your immune system or simply for a tasty and healthy treat. 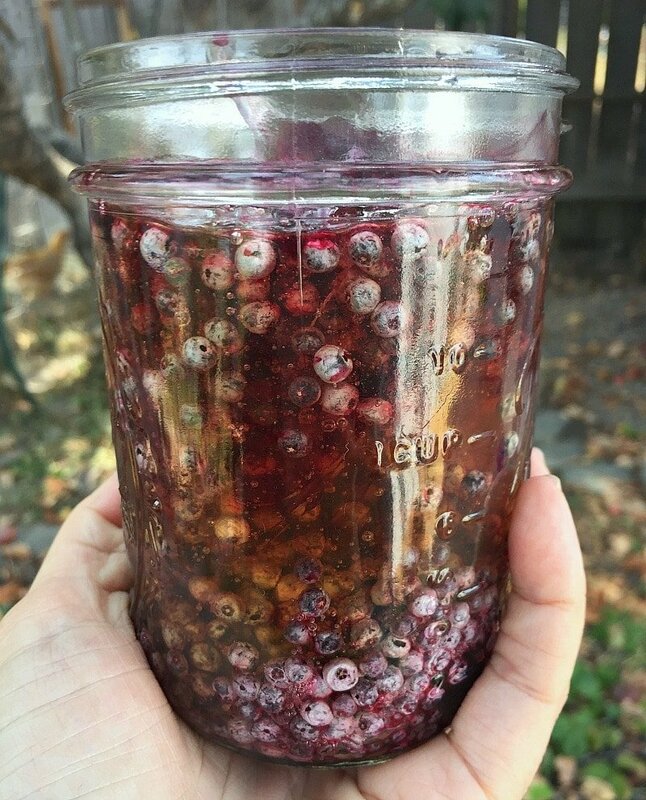 Put the elderberries into a pint sized mason jar, then add the honey to cover the berries leaving at least an inch of head space at the top of the jar. Cap the jar with a plastic storage lid or use a piece of parchment paper underneath the metal lid. Invert the jar for about 30 minutes or longer to make sure that all of the elderberries are coated with honey. Turn the jar upright again. After the elderberries and honey have settled and all of the air bubbles are gone you may need to add a bit more honey to cover the berries. Loosen the lid to allow air to escape during fermentation and place the jar somewhere out of the way. 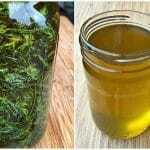 For the first 2-3 days it is helpful to invert the jar daily then turn it upright again. Be sure to tighten the lid before inverting then loosen again once upright. Within about 2-3 days (could be longer in cooler temperatures) you should begin to see small bubbles on the surface and the honey will be noticeably runnier. After one or two weeks you will see a lot of bubbles! Give it a stir now and then and it will really bubble up. The honey is ready at any point after this and will continue to slowly ferment for weeks and months. Strain out the elderberries before consuming. 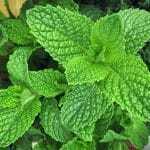 Take a spoonful two to three times per day when you feel a sickness coming on to shorten the duration of a cold or flu. You can use dried elderberries instead of fresh if you would like, but they will need to be rehydrated in water first before combining with the honey. Serving: Take a spoonful two to three times per day when you feel a sickness coming on to shorten the duration of a cold or flu. I’d like to use other berries, such as blueberries or raspberries to ferment the honey. Would those work? How would you go about re-hydrating the elderberries if we use dried? Can we simmer the berries first and then let them cool? 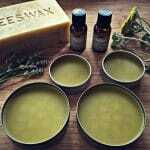 Would this method work to get rid of toxins since we are using heat? So it’s safe enough for young kids. I’m just worried whether it would still ferment. Yes, you could either soak them in water or boil them for a bit if you prefer to rehydrate them. It would still ferment because of the water content from the rehydrated berries. My syrup is about ten days in and there is little to no bubbling happening. It tastes AMAZING, but not fermented. It is cold outside, but it’s warm in my house, about 70-72 degrees. Anything I can do to help it ferment? I was thinking of adding some of my Jun starter or lacto starter. Is that a thing? Adding just a tad bit (like a spoonful) of water should help get it going! I’m not sure about adding Jun or lacto starter, never tried it! Beautiful, and well, looks like a mixture of heavenly flavours and health. I do love elderberries, so maybe I’m a bit biased, hihi. When you say to strain out the elderberries before use, is it because of the slightly toxic substances in them? 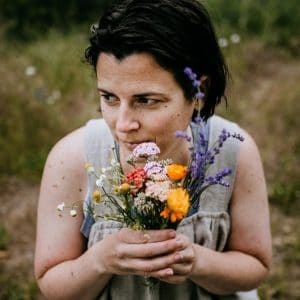 I love your blog, and your recipes! 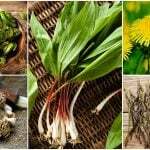 Yes, mainly because it’s the seeds that contain the toxicity – although the fermentation process does take care of this issue, I still like to err on the side of caution. I don’t have to refrigerate this, correct? Just like other honey infusion, garlic, ginger, etc.? Right, it does not need refrigeration. I want to make this recipe, but include rosehips as well. Is that possible? Or should I just create a honey infusion if I want to include rosehips? You could definitely include rosehips in this recipe! They are a bit dry to start the fermentation, but as long as you have the elderberries in there as well it should work just fine. Hi! Have you tried other types of berries, such as agraz? Thank you so much and am so happy I came across you!!!! Thank you for preordering my book! Yes you can use the frozen elderberries, but I would thaw them a bit first. 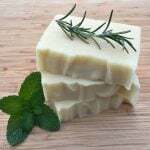 This recipe is very safe and there shouldn’t be anything to worry about bacteria-wise. Just be sure that the honey coats the berries for the first few days so that mold doesn’t form (that’s why the recipe calls for inverting the jar). 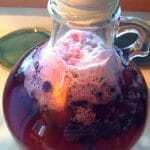 While the fermenting does get rid of any toxins present, traditional elderberry syrup might be safer for the little ones because it is cooked. Excited to try this. Thanks for sharing! How long would is the shelf life? A long time! At least a year if not more. Could I use frozen elderberries for this recipe? Yes you can, I would thaw them a bit before combining with the honey first. 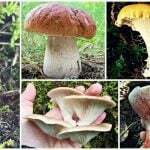 Have you used the mason tops ,pickle pipes for fermenting? I have used items similar to those. You could use them for this recipe, but I find that capping works well because it makes the inverting process easier. The berries need moisture in order for the honey to ferment (otherwise it’s just elderberry infused honey which is also great, but not fermented). 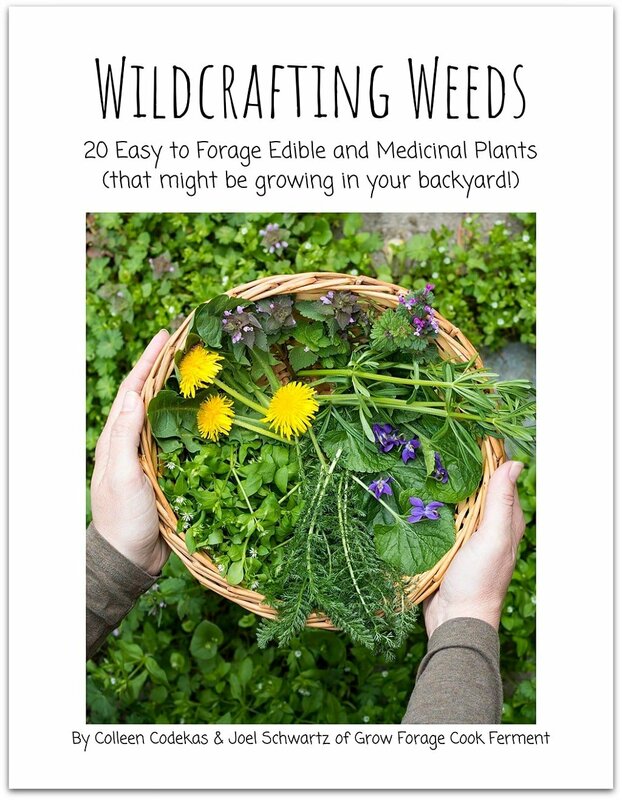 You could try rehydrating the dried berries first and see how that works!